Comprehensive Pain Solutions is a pain management clinic located at Memorial Hospital in Abilene, Kansas. Our goals are to decrease pain, increase function and help our patients maintain a healthy and active lifestyle. We carry out these goals through a multidisciplinary approach. Comprehensive Pain Solutions is accepting new patients via physician referrals. Comprehensive Pain Solutions is located on the 2nd floor of the Medical Office Building. You may choose to park on the north side of the complex and enter through North Entrance door. There is also some parking available on the east side of the building. For more information about services, view the information on this website or call (785) 263-6684 and leave a message. We will return your call as soon as possible. 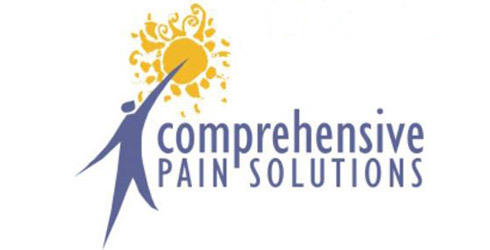 Comprehensive Pain Solutions has a Patient Portal. With a patient portal account, you can schedule appointments, opt for paperless statements, review recent lab results, send messages to the clinic, and more! Would you like more information about Comprehensive Pain Solutions, or do you have a question for us? Please call or mail us and we will respond to your request as soon as possible. Comprehensive Pain Solutions offers several pain management options that can help you live a lifestyle that is not hindered by pain. Each of our patients is assessed and provided with a personalized treatment plan. Everyone’s pain is different, which is why Comprehensive Pain Solutions employs multidisciplinary methods in treatment. Other services indicated for treatment purposes. Comprehensive Pain Solutions is accepting new patients with a physician’s referral.